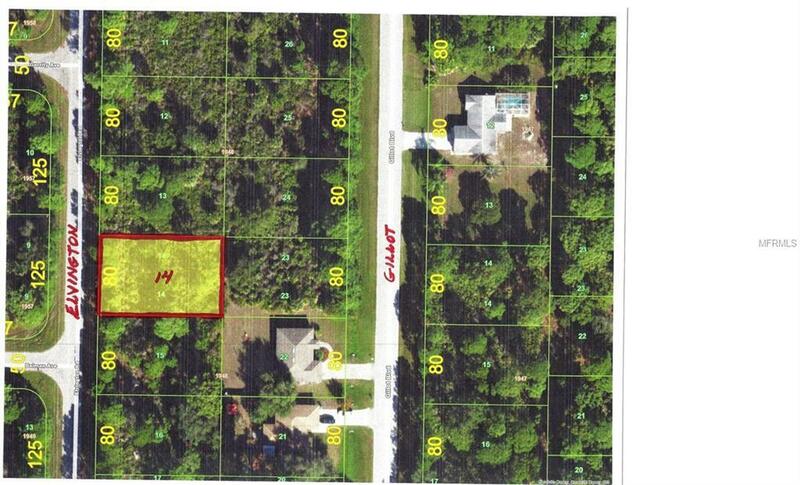 HERE IS A TERRIFIC LOT IN THE WATERFRONT COMMUNITY OF GULF COVE LOCATED IN CHARLOTTE COUNTY. ACCORDING TO CHARLOTTE COUNTY.. SIZE IS 80X125..AND NOT IN THE SCRUB JAY AREA!YOU WILL HAVE ACCESS TO THE PARK, AND FOR APPROX. $50.00 YOU MAY USE THE BOAT RAMP WHICH LEADS OUT TO THE MYAKKA RIVER TO CHARLOTTE HARBOR AND OUT TO THE GULF IF YOU ARE SO INCLINED!! OTHERWISE BUILD YOUR BEAUTY OF A NEW HOME, SIT BACK IN THE EARLY EVENING WITH A NICE COLD DRINK, WATCH THE SUN SET AND JUST ENJOY YOUR "HOME SWEET HOME".